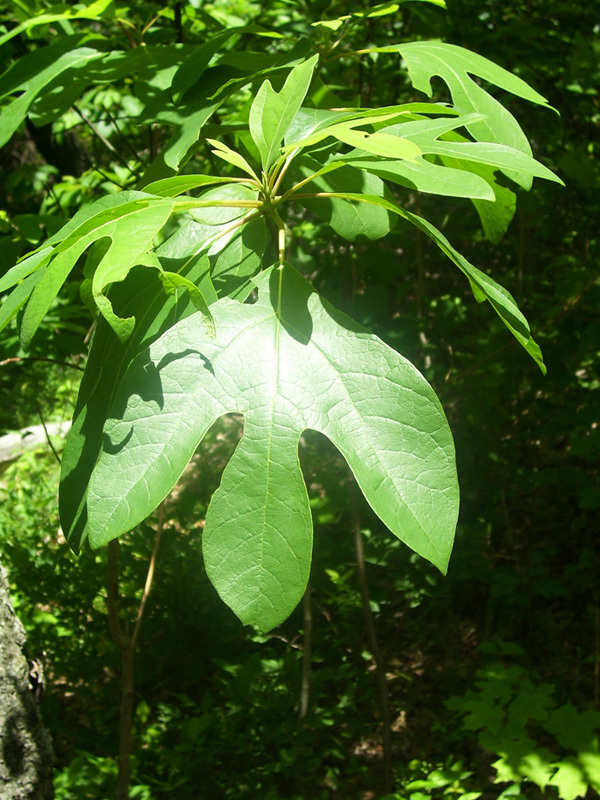 Sassafras is a tree that can grow up to 100 feet tall. Leaves come in three shapes– three lobed, oval, and mitten lobed. In the fall the leaves turn a deep red color. Sassafras blooms in April to May time frame and the yellow flowers are very fragrant. Each berry contains a seed and is black in color. This tree prefers full sun to part shade with medium water needs. If you transplant a smaller one into your garden, you will need to make certain that you get all of the large taproot. You will also need to remove the root suckers or you plant will take on the appearance of a shrub instead of a tree. The Cherokee used the root bar to make a tonic to purify the blood. They also made medicine for the eyes to treat cataracts. Trial elders say that there two kinds of Sassafras, a red and white variety both of which had different properties. The red variety was used to treat male patients and the white variety to treat female patients. The white variety was used on female because it was believed to have a less potent medicine. It should be noted that the FDA made it illegal in l976 to sell Sassafras tea, roots, or oil because it contains Safrole which is a chemical carcinogen that causes liver cancer. 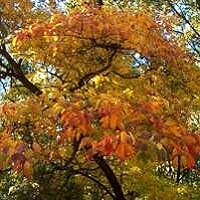 The Sassafras tree is located in almost all states east of the Mississippi River.